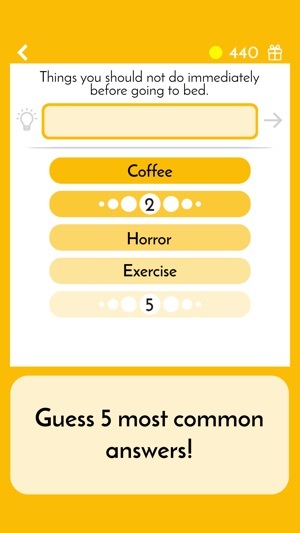 Guess the top 5 answers! 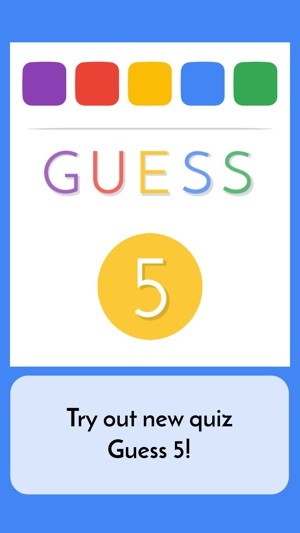 Guess 5 is a quiz game in which you will have to identify the five most common answers to questions, depending on the answers of 100 people. What do you first think of when hearing the questions, such as: "Things you would never lend to anyone? ", "What happens only once a year?" or "Payable things that were once free?". 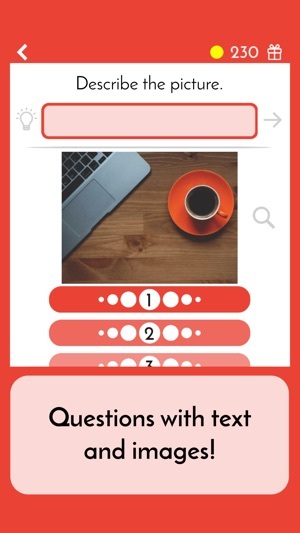 There are 380 exciting levels in this trivia app, with a variety of questions with text and images. 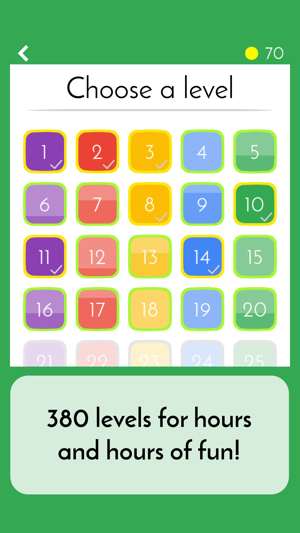 The updates with new levels will be added regularly, so you will never get bored! 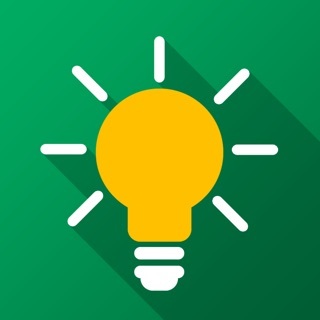 The game will encourage innovative thinking to find the answers to simple questions. Some might be a general knowledge, but for others you will have to be resourceful and think "out of the box". But do not worry if you get stuck, there are tips that will help you find the right answers! Choose your local language: currently available are English, German, Polish, French, Italian, Spanish, Portuguese, Czech and Croatian. More languages will be added soon! 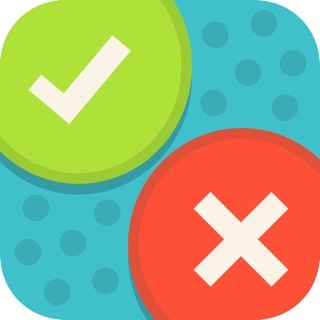 You will enjoy this trivia quiz game even more if you play together with family and friends! Hours and hours of fun are guaranteed! Johetne mar a frissites !